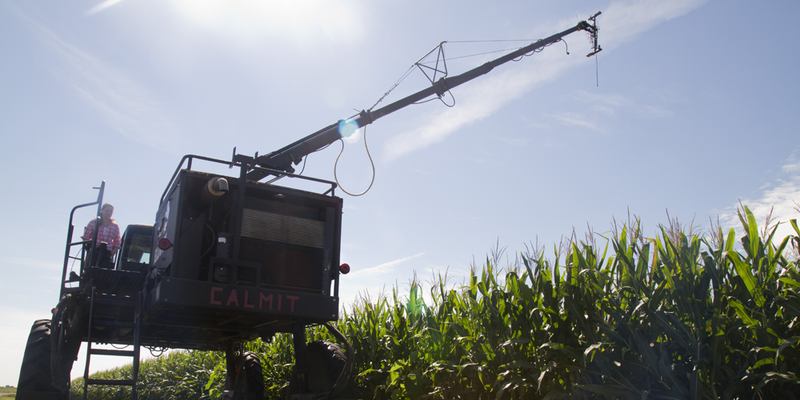 CALMIT provides instruments and platforms for field sampling of reflectance and fluorescence, providing advanced optical tools for field research. In addition to operating several field spectrometers, CALMIT utilizes a range of field optical sensors for automated monitoring of ecosystem function (e.g. phenology, photosynthetic productivity, and ecosystem health). A unique aspect of CALMIT’s field program is the variety of portable and automated sampling platforms available (e.g. backpack systems, modified crop sprayers, tram systems, and UAVs). Many of these instruments and platforms can be made available to the research community on a cost basis. 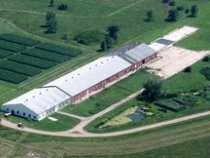 CALMIT's primary Field Research Facility is the University of Nebraska Agricultural Research and Development Center (ARDC), located about 35 miles from Lincoln, near Mead, Nebraska. The ARDC is a 9,000-acre experiment station, operated by the Agricultural Research Division of the Institute of Agriculture and Natural Resources. The field remote-sensing program is one of CALMIT’s major program areas, with an emphasis on proximal and airborne remote sensing.